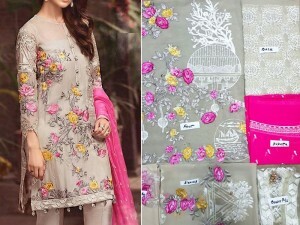 Embroidered chiffon suits look beautiful for any formal occasion or a wedding event, especially when paired with elegant accessories. 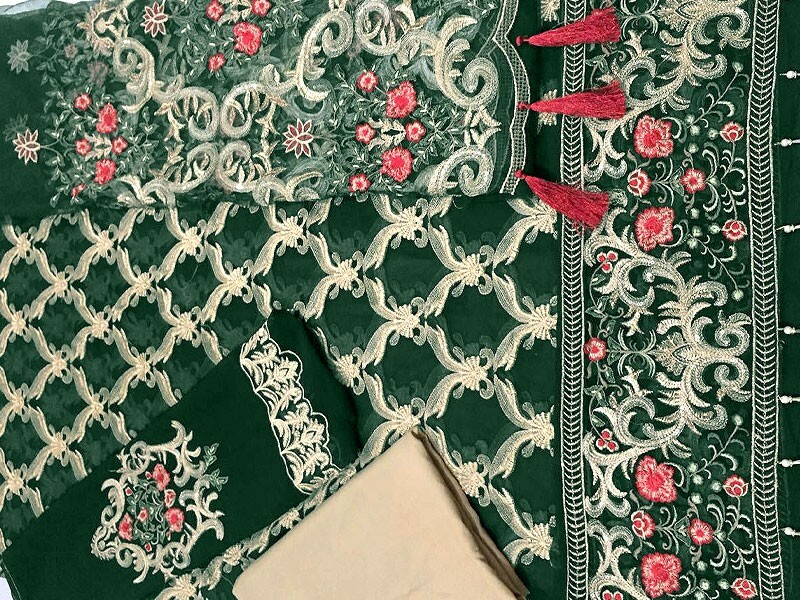 This Embroidered Green Chiffon Suit with Net Dupatta comes with a pocket-friendly price tag and will be an excellent addition to your wardrobe. 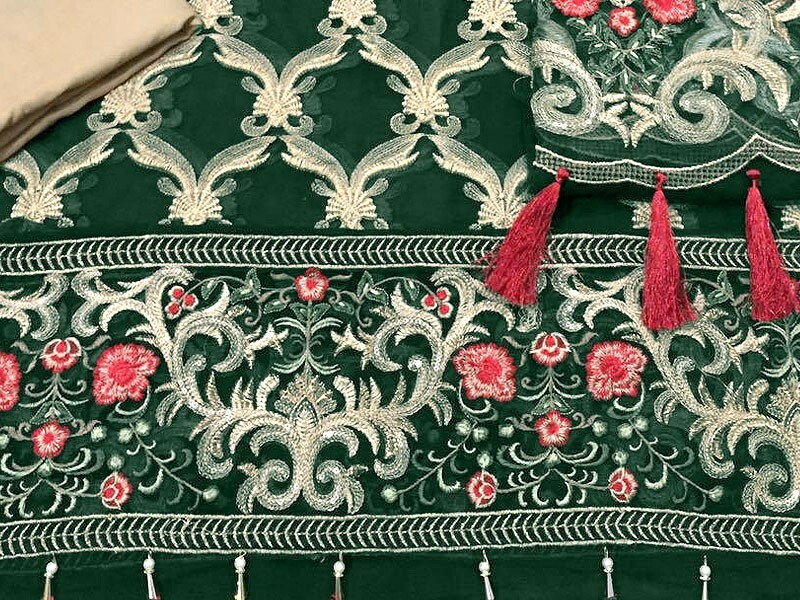 It is in an eye-catching bridal green color, which looks very refreshing and has embroidery in the patterns of zari all over the shirt, plus the dupatta. 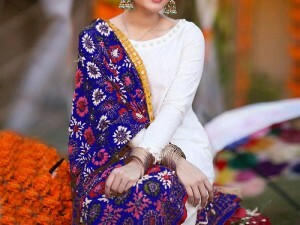 The net dupatta has a similar design as the shirt in white threadwork and the hanging tassels at the border of it gives it a very fine look. It has a plain crepe trouser in an off-white color, which gives it a put together, complementing appeal. 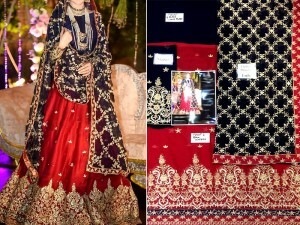 The shirt has details of coral colored flowers, which match the color of the tassels on dupatta and it has a dangling pearl design on the panel of the shirt. 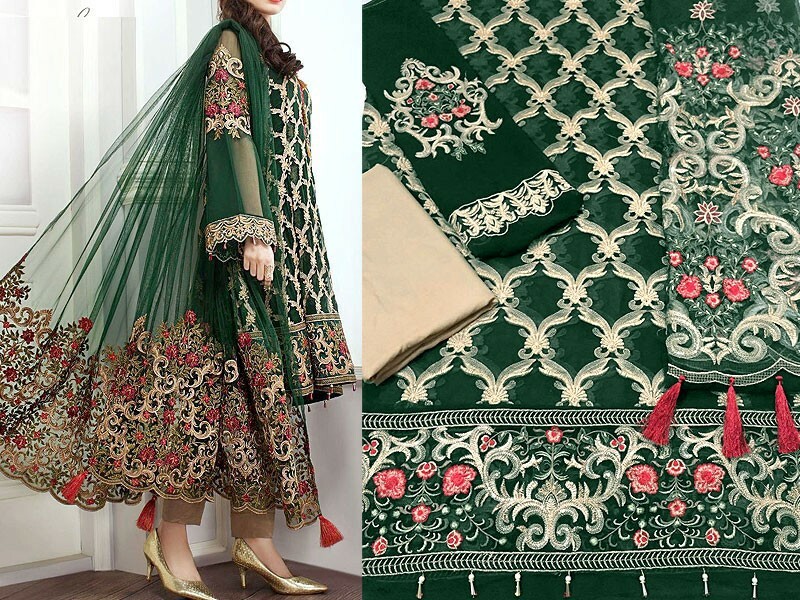 Embroidered Green Chiffon Suit with Net Dupatta Price in Pakistan (Code: M010820) offer by PakStyle are just Rs.2995/- instead of Rs.4000/-. 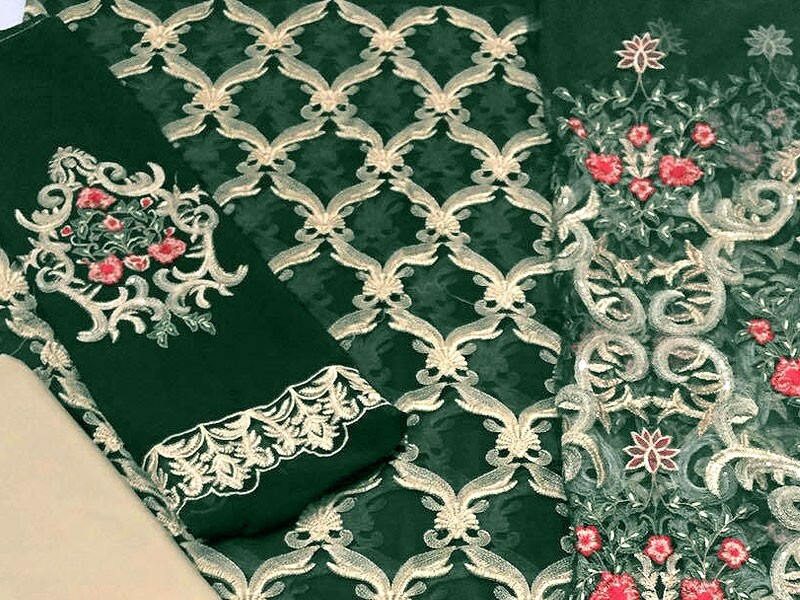 Buy Embroidered Green Chiffon Suit with Net Dupatta Online in Pakistan and variety of other products like Womens Clothing, Womens Dresses, Chiffon Suits, Green Wedding Dresses at PakStyle.pk and enjoy Fast Shipping with Free Home Delivery in Karachi, Lahore, Rawalpindi, Islamabad, Faisalabad, Hyderabad, Quetta, Peshawar, all across Pakistan and get it delivered in 1-4 working days.